Get the very best Adobe CC deals, Photoshop deals and more. Excellent Adobe deals might be few and far between – but they do happen. We've teamed up with Adobe in 2019 to offer an exclusive (and rare) up to 39% off Adobe's Creative Cloud All Apps annual plan. Deals like these on Adobe software are the exception to the rule, but they show that the company is occasionally prepared to offer a decent discount. And when it does, you'll find full details of the offers here on this page. Whether you’re a student or professional looking for an Adobe Creative Cloud deal – and whether you’re a graphic designer, web designer, artist, photographer, motion designer, video editor or interested in other creative fields – we've got you covered. The UK, along with parts of Europe and Africa can now save 39% on Adobe Creative Cloud until 1 March 2019. With this whopping offer you can save big on all your favourite creative apps when you sign up for £30.34/€36.29 a month (previously £49.94/€60.49). So what sort of discounts did we see from Adobe on Black Friday and Cyber Monday? Well, traditionally the company hasn’t played especially hard on these days. Between 2014 and 2017, Adobe slashed the price of Adobe CC by 20% – and while that certainly isn't bad, it's an Adobe deal we see cropping up now and again throughout the year, so it's also nothing special. Adobe slashed the cost of its All Apps annual plan of creative desktop and mobile apps – including Illustrator CC, Photoshop CC, Adobe XD CC and more – in this huge Black Friday and Cyber Monday Creative Cloud discount. Adobe slashed the price of its pro package of photo-editing applications by a quarter for Black Friday and Cyber Monday 2018. You could get Photoshop, Lightroom CC, Lightroom Classic CC, Adobe Spark and 1TB of Cloud photo storage for a massive 25% less than usual. Based in Europe, the Middle East or Africa? Then you could save 20% on Adobe's 20GB CC Photography Plan. You got Photoshop, Lightroom CC, Lightroom Classic CC, Adobe Spark and 20GB of Cloud photo storage for just $15.99/£8.32 per month with this non-ended Black Friday and Cyber Monday Adobe deal. One great Adobe deal that occasionally surfaces on Black Friday and Cyber Monday is a huge 40% discount on Photoshop Elements and Premiere Elements. 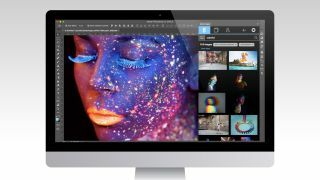 And although we didn't see it in November 2018, it did pop up in August 2018, with a number of retailers (including Amazon, B&H, Best Buy and Staples) selling the stripped back photo-editing software for just $60. The easy way? Stick with us. We’ll continue to post the best Adobe deals here, before anyone else. So bookmark this page – and make sure you check back regularly.